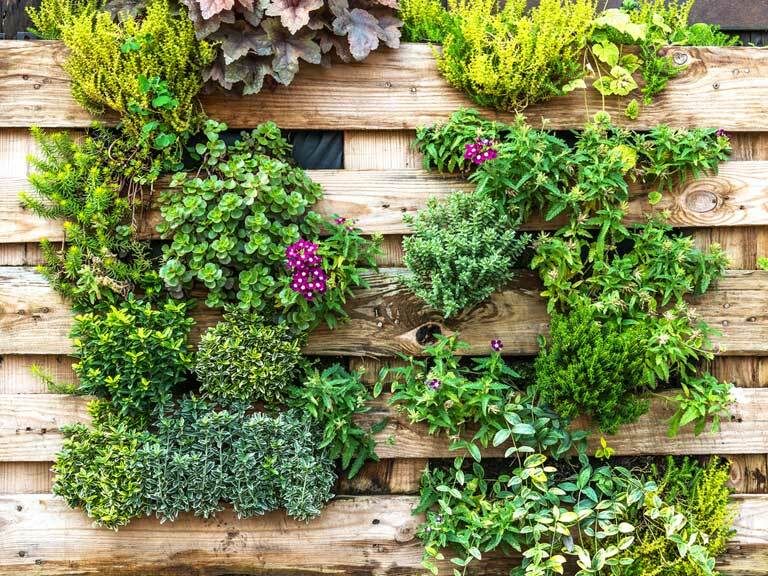 A real architectural and horticultural trend, living walls are a clever way to maximise your growing space. Pipe planters help mask drain pipes. Photograph courtesy of Wilko. 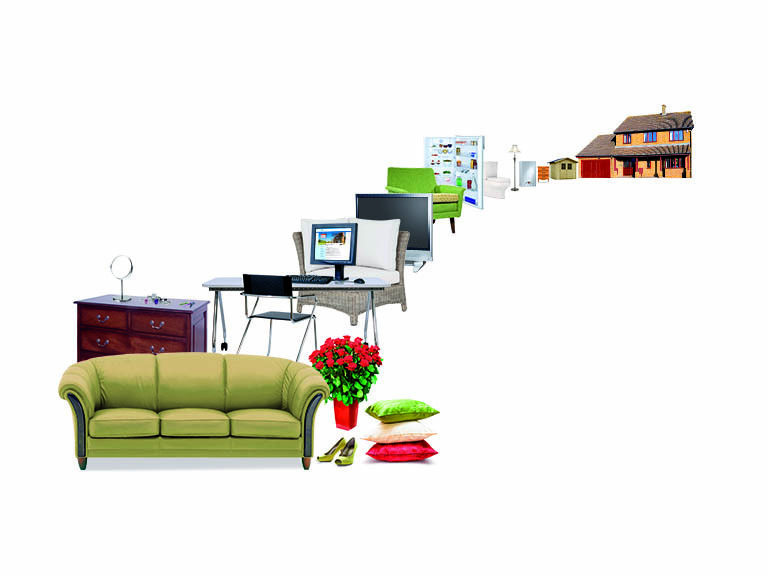 Do you feel like you can’t squeeze in any more flower beds, pots and planters in your garden? When you’ve run out of space at ground level, you can gain more growing room by going upwards, with a living wall. In its original form, this is a solid vertical structure with pockets or pouches to hold plants. However, if you can’t run to converting the back wall of your house, there are other ways that you can achieve the planting-on-a-vertical-plane look. Fill upper-storey windowboxes and hanging baskets with trailing plants, such as golden-and burgundy-leaved Heucherella, ivy or sweet peas and let them cascade down the wall. Match these with ground-floor boxes planted with climbers, such as clematis, black-eyed Susan or even runner beans, and, with luck, the two should meet in the middle. Providing they’re securely fixed to the wall, you can suspend more than one hanging basket, one below the other, for a tiered, hanging garden. There are numerous systems that allow you to plant up trays or pouches or pots that are then hung from the wall or fence, for a solid lab of greenery and flowers, such as the 16-pocket Garden Hanging Wall Planter, £13.20, Gardeningwill at Amazon. 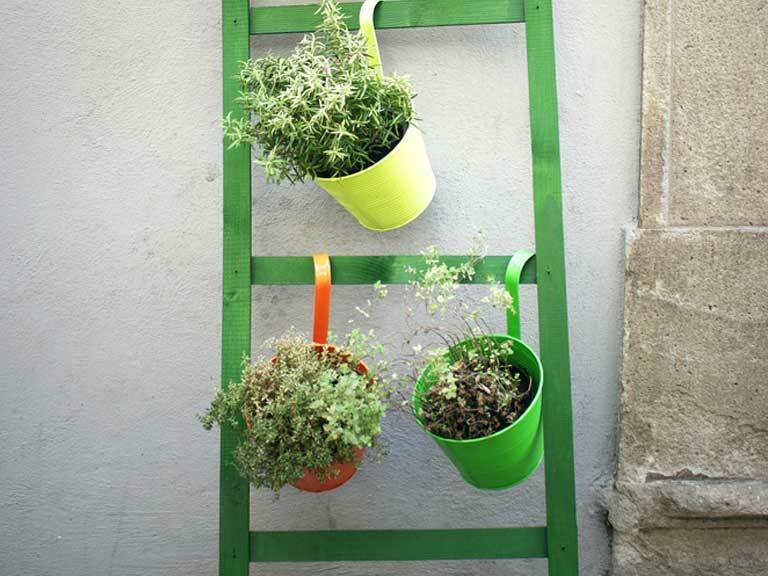 Suttons has a set of three lime-green pouch planters that hook onto a wall, for £16.99. 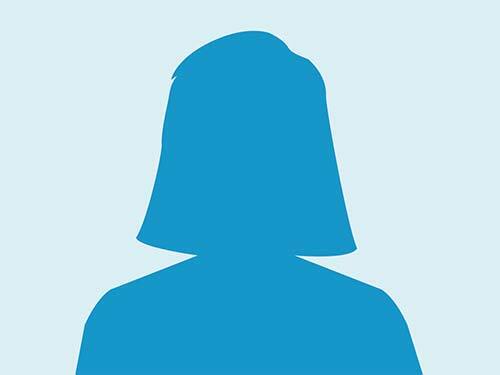 However, you can achieve this effect yourself. Suspend rows of plastic pots, or pockets made from stapled heavy-duty waterproof liner, on lengths of dowelling, fixed horizontally to the wall, or from hooks. These fixings will be hidden once the plants begin to flourish. Draw the eye upward, and camouflage the wall or fence at the back of the bed, with a back row of bright flowers. 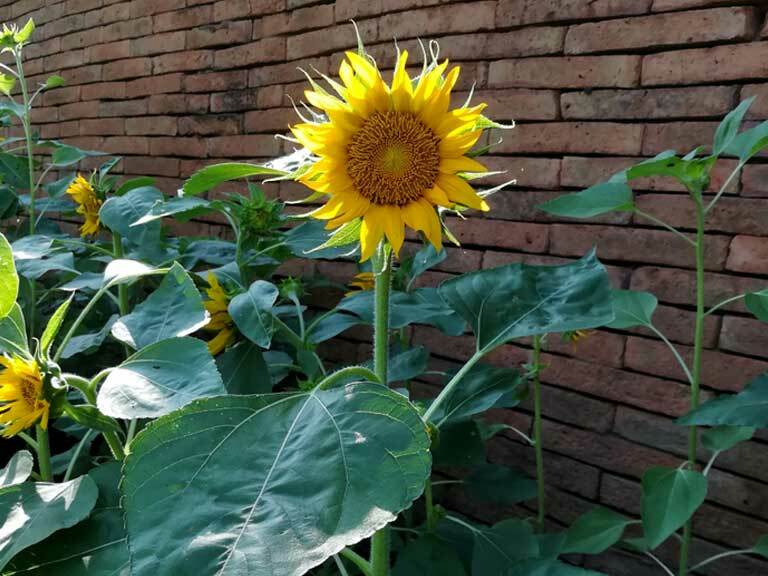 Easily reaching 10ft, sunflowers are probably the tallest. Sow in March, April and May in 7.5cm flowerpots. Leave in a cool, bright place and keep well watered. Plant out in the garden when the seedlings are 10-15cm tall. Purple-flowered, airy Verbena bonariensis can reach 6ft. And it’s not just flowers that can help you reach for the sky. Colin Randel, Vegetable Product Manager at Thompson and Morgan, suggests incorporating climbing fruit and vegetable varieties, and not just runner beans. Plant pumpkins and squash at the base of a tree or fence so they’ll intertwine with the branches or posts to create a fantastic space-saving display. Some courgettes, cucumbers and strawberries can climb, so you could create a multi-layered salad pot, with a frame, canes or trellis, and tomatoes, and salad crops underneath. 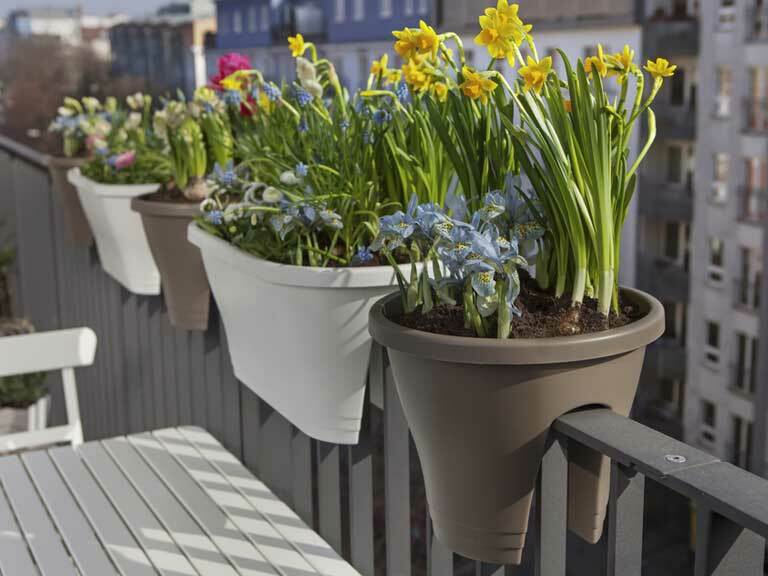 Beautify a balcony railing, wall or fence by adding planters. 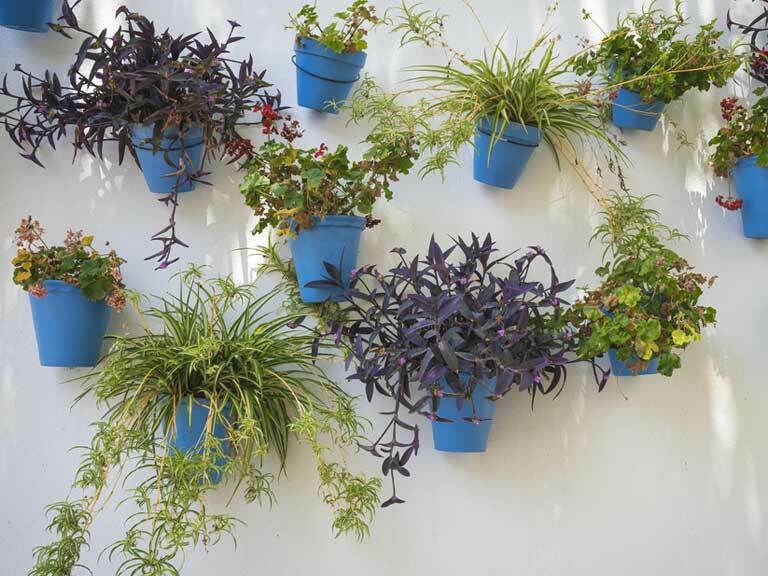 Attach plenty of pot rings on a wall, in the way that you often see potted geraniums in Spain, and slot in potted plants of your choice. Hooked plastic pots can hang from the top of a fence or railings, too. Or, for a movable display, hook them over the rungs of a wooden ladder leaning against the house. Specially designed planters, which straddle a railing or fence, let you place a pot or a box where it’s not wide enough to site a freestanding one. The round Elho Corsica flower bridge planter, £9.09 from Amazon, measures 30cm in diameter by 27cm deep, with two stabilisers so that it balances perfectly, plus two drainage holes. Railing trough versions are also available. 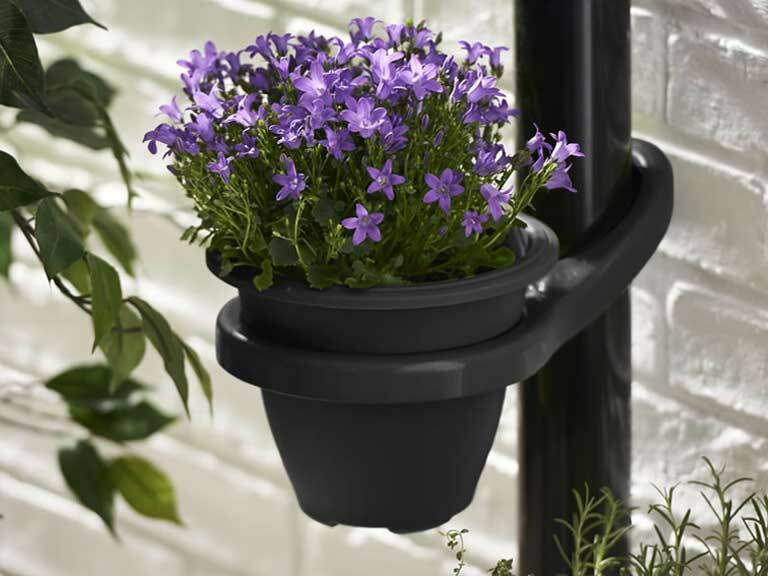 Wilko has organically rounded hanging pots, for £5 each that hook over a fence or railings, with a built-in water reservoir so you don’t have to water as often. Make a floral feature of your drainpipes, and camouflage ugly pipework with drainpipe plant pot holders. Attach several, one on top of the other. Wilko's are just £2.50 each, for 68mm pipes, in black, aubergine or green. Stacking containers, with multiple apertures for adding plants, will turn into a tower of flowers (or fruit, veg and herbs, too), occupying the same space on the ground as a standard container. This cylindrical flower tower, 86cm high, has six layers of planting holes, £19.99. Create your own freestanding vertical planter by upcycling a wooden pallet. Line the inside with waterproof membrane, down one side, across the bottom, and up the other side, stapling into place. Add another narrow strip of membrane crossways to prevent the soil from falling out of the ends. Fill with soil. Now poke holes between the slats from the outside to create planting holes. Push in your choice of plants. And once your vertical garden is growing, all you have to do is sit back, look up and admire it.